Mr. Martin concentrates his law practice on mediation and arbitration and on business counseling, particularly in the areas of telecommunications, public utilities and governmental relations. He serves as Chair of Potter Anderson's Diversity and Inclusion Committee, charged with enhancing the firm's ongoing diversity efforts. Prior to joining the firm, Mr. Martin was President and Chief Executive Officer of Verizon Delaware from 1996 until early 2005, where he was responsible for all aspects of its telecommunications business within the state of Delaware, including regulatory, financial and operational matters. 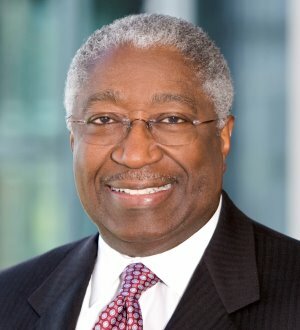 He first joined Verizon's predecessor (Bell Atlantic) in Delaware in 1990 as Vice President, General Counsel and Secretary. Prior to that, Mr. Martin was a Delaware Superior Court Judge for eight years. Earlier, he served on the Delaware Public Service Commission from 1978 to 1982, including three years as Chairman. A physicist by training, Mr. Martin began his legal career as a patent attorney for Hercules, Inc. from 1974 to 1982. Director, Southwest Power Pool, Inc.